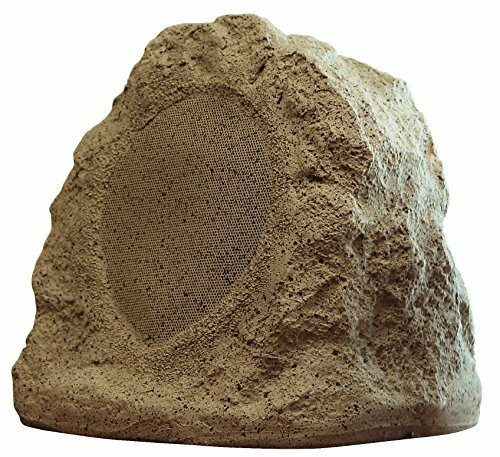 The Dual Electronics LUR66E 2 Way Indoor Outdoor Studio Rock Speaker in Natural Earth Tone Finish is compact, built to last and huge on sound quality. The 2 Way multipurpose speaker is professionally designed to deliver studio high fidelity sound superiority regardless of placement. The natural earth tone finish will compliment any outdoor setting that you have created providing an additional layer of tranquility or a party destination; you get to choose. Within the house your studio quality speaker will look at home in your atrium or on your bookshelf transforming the room into auditory nirvana. The carefully crafted design allows the studio monitor to generate 60 Watt RMS at 8 Ohm impedance conveying a consistent audio experience that is unmatched.